Can YOU guess what the secret sound is? Everyone’s favorite game is back….it’s the SECRET SOUND! 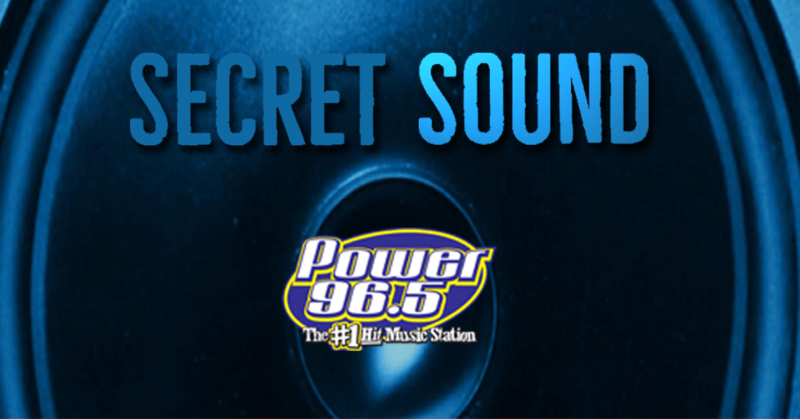 Power 96.5 wants to give our listeners the opportunity to WIN cash by guessing our secret sound! Listen with Power 96.5 from 6 am-6 pm each weekday where we will give you up to 6 chances to correctly guess the secret sound that is playing. Each sound jackpot will start at $100. Each day that no one guesses the sound, we’ll move the jackpot up by $100! You can also check out our Facebook page to see what times we are playing each day!